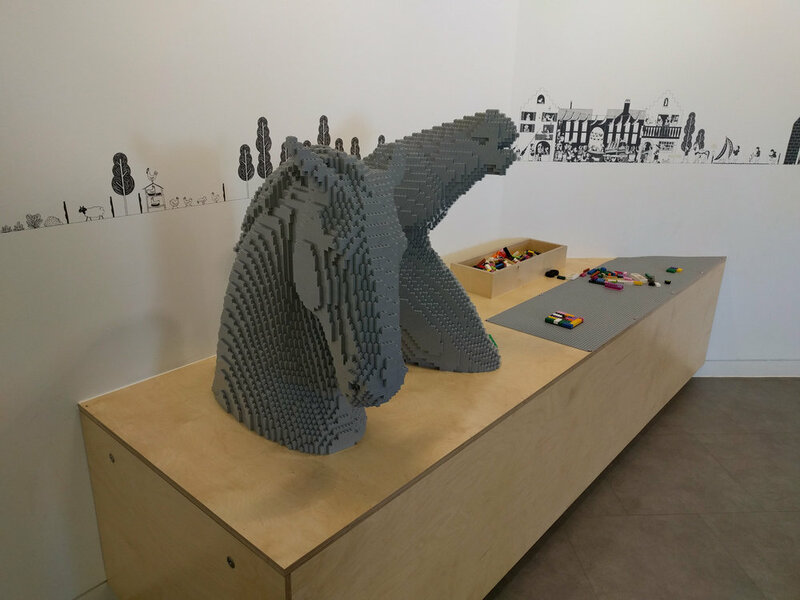 From models of your product, building or logo, to huge dioramas or a massive ship, a custom LEGO model brings out the child in everyone! Commissioned models are individually designed for each client. 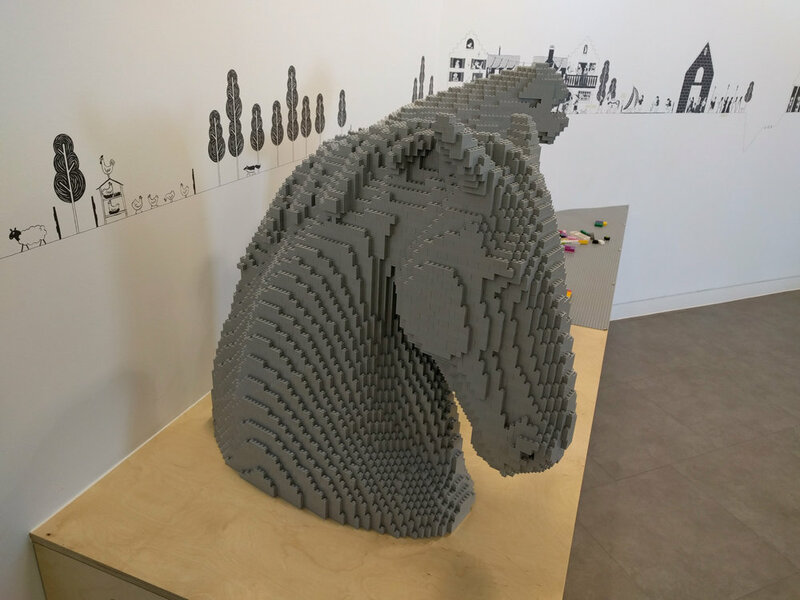 Whether the aim is to trigger discussion, inspire creative thinking, raise your brand's profile, bring something different to your next event or just create a smile - a unique LEGO model is something that everyone can relate to. Some celebrations are very special. Your company's 150th anniversary is just such a celebration. So when the shipping and logistics company DFDS reached 150 in 2016 they decided to do something very special indeed. 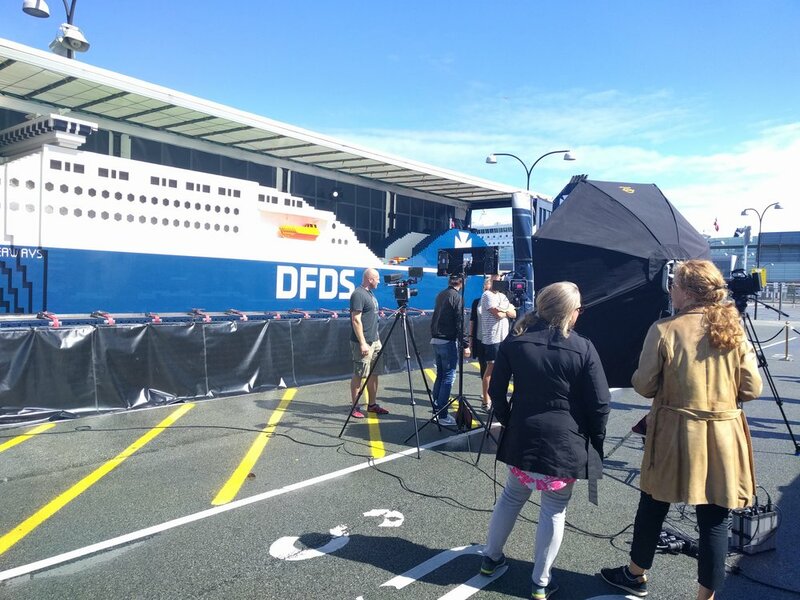 DFDS didn't just want to create something to mark the occasion, it was important to them to make sure that everyone in the company could be involved and become part of the celebrations - all 7,000 staff in 75 locations across a continent! Warren Elsmore worked with the DFDS team from the very beginning to create a once-in-a-lifetime event. 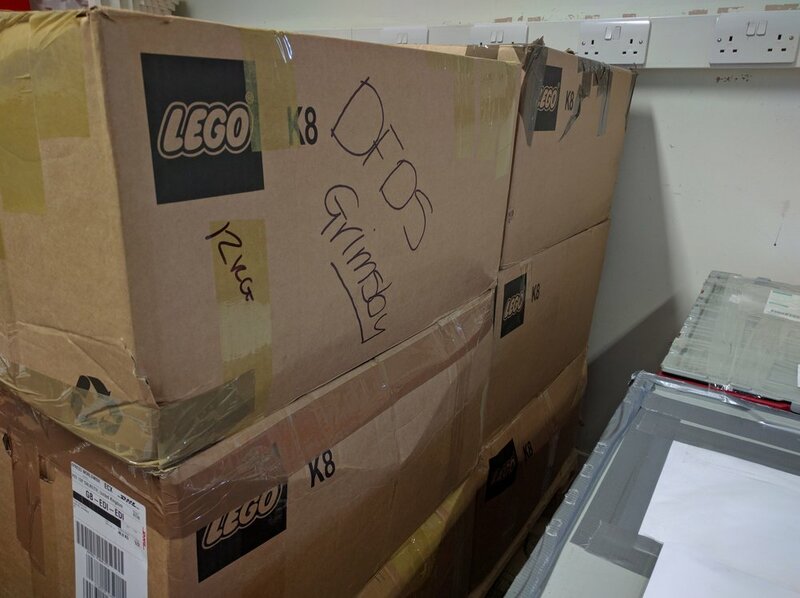 The original brief was simply to build 'the biggest LEGO ship in the world', but it took months of planning to make that even possible and to bring it to fruition. 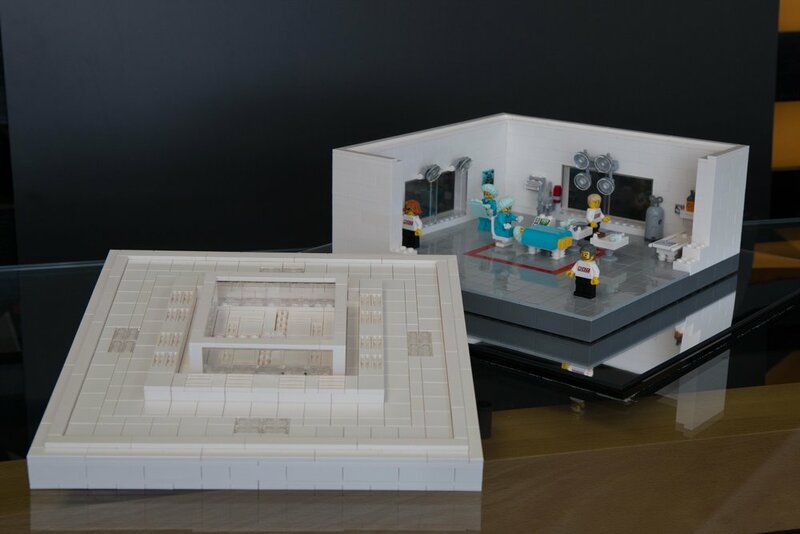 Using our experience not only of LEGO, but also logistics, shipping, project management and most importantly consumer events, we were able to decide on the build process and the way in which we would bring this brief to life. Whilst DFDS staff in every office, port and ship(!) constructed 'big bricks' to become part of the ship, Warren Elsmore staff got to work ready to receive these bricks and build them into the largest LEGO Ship in the world. DFDS CEO Niels Smedegaard says it best on behalf of DFDS and Warren Elsmore - "This is who we are"
Sourcing & supply of all ancillary lighting, electrics, theming, graphics etc. Personal attendance at the launch event & a number of high profile events throughout the ship's tour. 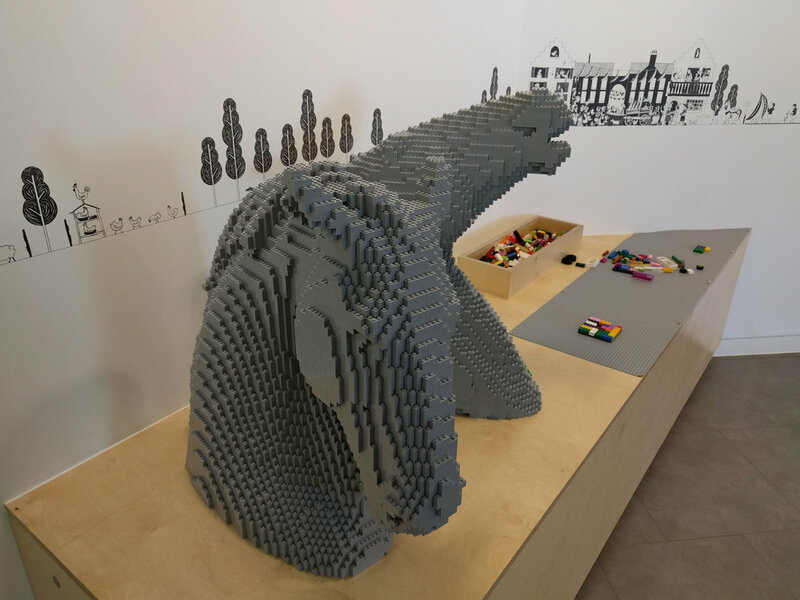 Creation of a 2 metre LEGO Christmas tree, to celebrate the London Trafalgar square Christmas tree, which is also carried by DFDS. 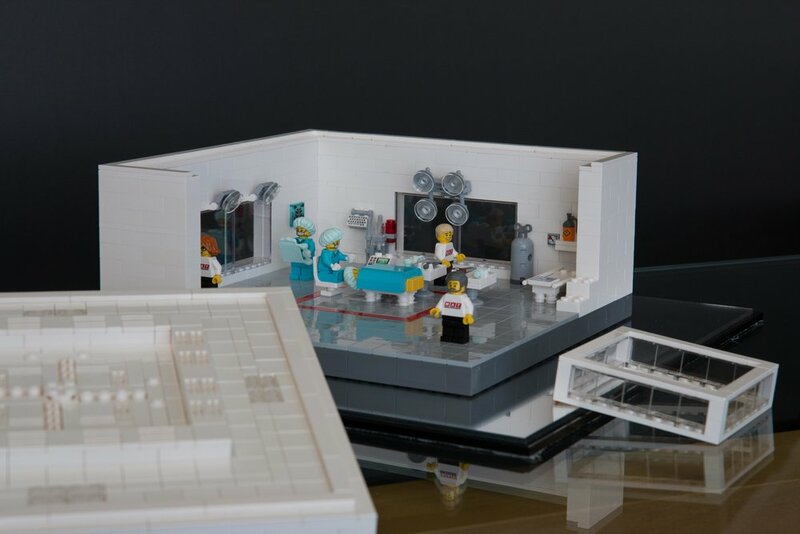 Often when our team are asked to represent a building, product or site in LEGO bricks we add humour & life. This commission though, was different - how would we go about creating a detailed and highly accurate model of a major Scottish landmarks? The Kelpies are public sculptures, designed by artist Andy Scott, of mythical water horses. They stand next to the Forth & Clyde canal. At 30 meters tall, they are visible for miles. We were commissioned to make copies for display in the visitor centre - so that visitors to the site could try to build their own landmark. Due to the unique structure of the sculpture, no usable 3D model of the Kelpies existed at all. To create a 100% accurate copy by eye would have been exceptionally time consuming, so we developed a custom approach to their recreation. Wind tunnel models were 3D scanned and then, using custom software written for us, a computer-based LEGO version was created. This was painstakingly copied into bricks, one at a time! The Forth Road Bridge turned 50 in 2014. To mark this historic occasion, the Forth Estuary Transport Authority (FETA) asked us to recreate the iconic structure in LEGO bricks. Representing a 2.5Km long bridge in LEGO is no mean feat, especially when using minifigure scale (1:50)! 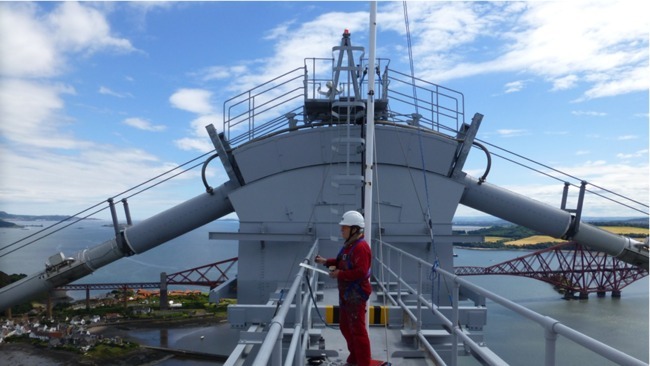 To allow the public to get as close to the bridge as possible & see the detail, a single tower was designed showing the famous cruciform structures & specifics of the undercarriage. 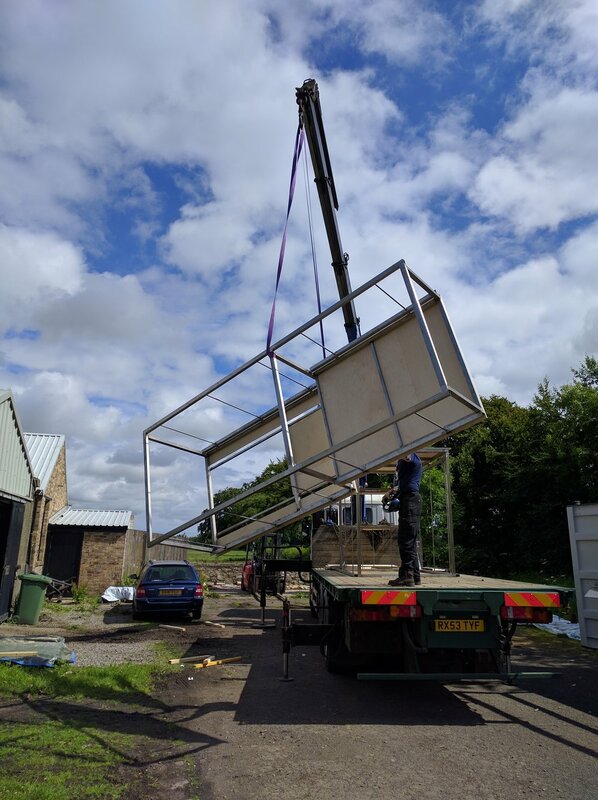 To accommodate the strict safety requirements for its display, a steelwork substructure was designed & manufactured by FETA, to ensure that it stays upright & static even if someone were to lean on it with their full weight! 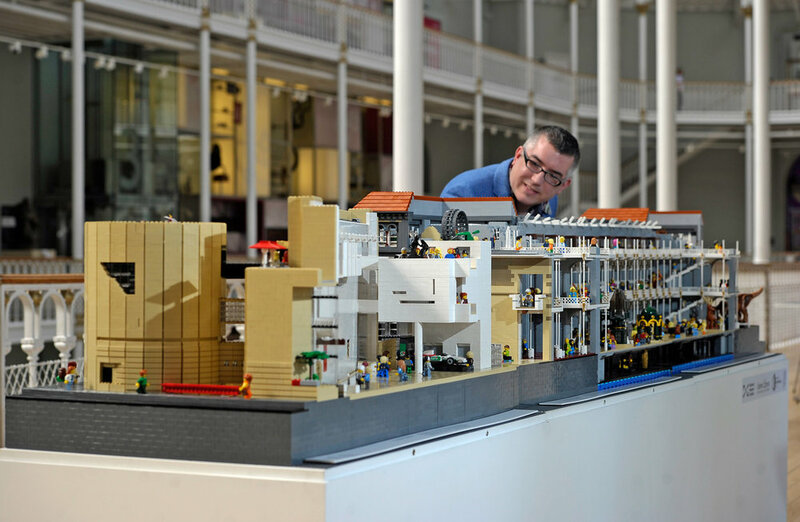 200Kg of steel and 10,000 LEGO bricks later - the model was put on display in the National Museum of Scotland as part of the Forth Bridges' Festival to an amazing reception. If your product is designed to be difficult to see.... how do you promote it? Medical Air Technology came to Warren Elsmore with that exact problem. Their product helps operating theatres keep clean by creating a special 'air curtain' that quickly removes air-borne particles. Working closely with the company, we created a special model of their technology which showed the operating theatre, with a removable roof and also a removable canopy that some installations took advantage of. The model was designed and built in our Edinburgh studios, then matched with a custom perspex display case and full flightcase - allowing Medical Air Technology to take their model on the road to tradeshows and events!